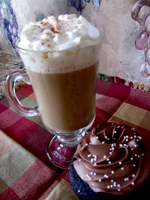 During the colder months, I love to serve a variety of warm holiday drinks, some with alcohol; some without. I usually set up an special area in my kitchen when I entertain so guests can serve themselves. In addition to my coffee pot, I have a couple of Bunn Airpots that I use. If you are going to invest in an Airpot, make sure you buy a name brand, like Bunn. I have been very disappointed with off-brand airpots in the past. The pump mechanism on one of them broke after a couple of uses and the glass insert on another one shattered when I filled it with ice. I have not had a single problem with my Bunn Airpots. In addition to offering a coffee bar, find some international coffee recipes here that can be served with or without alcohol. Try the recipe for Viennese coffee with a shot of Frangelico or the Mexican coffee with a vanilla vodka. Don't forget the whipped cream! Your guests will love this recipe for non-alcoholic Warm Christmas Punch at any time of the year. Another great non-alcoholic choice is homemade spiced cider. Simmering in a slow cooker makes your home smell heavenly throughout the day and into the evening. Personally, my favorites are Hot Chocolate with a shot of Peppermint Schnapps and Chai Tea topped with whipped cream and sprinkled with cinnamon. Yum! 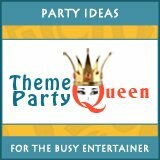 You might also like our page on Fun Party Drinks.